The latest advancements in the technology have paved way for introducing amazing features in the upcoming cameras. On one hand, the camera manufacturers are competing for delivering better image quality and high performance in low-light. And on the other hand they are striving for providing the features which boost the performance of the camera — speedy data transfer, better auto-focus system, shooting at very high shutter speeds (1/8000 sec or more) and so on. Here are top 5 expected cameras heating the market with rumors, news and stories with the expected specs, features and projected release dates. Nikon D4 is already in limelight for being the first DSLR to adopt Thunderbolt. The Thunderbolt (originally codenamed Lightpeak) is technology for making data transfer more efficient than before, with speed as high as 10 Gb/s. This will ensures that the bulk transfer of images and videos to PC will be less time consuming. The other expected features of this 18 MP camera are: ISO range varying from 200 to ISO 12800 and extendable up to 102400, full-frame FX format of sensor, Multi-CAM 3500X auto-focus system (incorporated in D3 for first time) and continuous burst mode speed of 16.2mp9 frames per second. 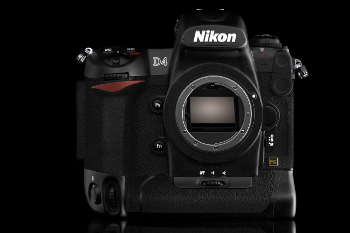 With all the above mentioned features and a few surprises you can expect Nikon D4 to be announced by late September. Nikon D800 is being considered as the replacement for Nikon D700. Following the Nikon’s release pattern, Nikon D800 was supposed to release in 2009 but as of now July 2011, we are still waiting for this full-frame FX camera. For the time being let’s have a quick look at what Nikon D800 has in store for the shutterbugs. The camera features 24 MP CMOS, 95% frame coverage, 51 points MultiCAM 3500FX auto-focus sensor array (same as D3X), 1/8000 ~ 30 sec shutter speed, two live view modes, support for wireless flash and resolution of 24MP in FX and 10MP in DX. 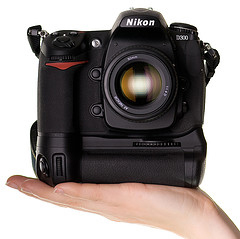 With its expected cost at around $3000-3500, Nikon D800 is likely to release in September 2011. 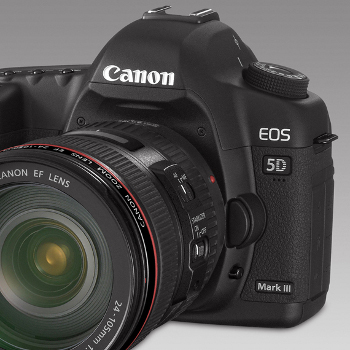 While Canon EOS 5D Mark II was the first DSLR to feature 1080p video recording and amazing low-light performance (check out Ken Rockwell’s Canon 5D Mark II at high iso test), Mark III is expected to improvise over the video capabilities while maintaining the ISO range of 100-25600. Canon is planning to deliver better image quality and improved noise reduction by updating its image processor to Digic V. Other expected specs and features of Mark III are: new 19 point auto-focus system, 4.2 fps in continuous shooting mode, a slightly larger LCD coupled with new aspect ratio, video auto-focus technology and compatibility with CompactFlash memory cards. With all these expected features Mark III is supposed to hit the market in October 2011 or by early 2012. Engadget is closely eying on the upcoming cameras lined up by Sony and reports that Sony is planning to include translucent mirror in all its future Alpha models. The website also features Sony’s A77 and A65 leaked images and expects the official release next month. 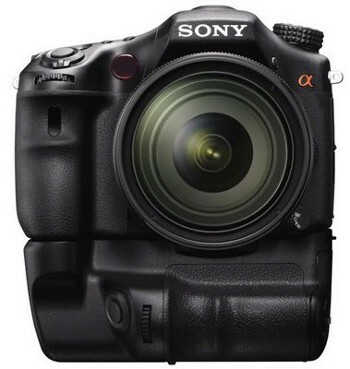 While there is no official disclosure about the camera’s specs and features, Sony A77 is believed to be an APS-C format camera with a 24 MP EXMOR CMOS sensor, Sony’s proprietary translucent mirror technology, 1080 HD video capture and an articulating LCD, expected to cost you about $1000-1500 for the camera body. 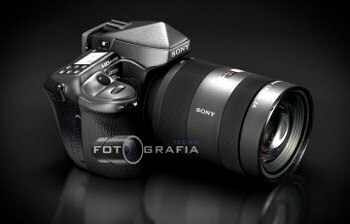 Sony A950 camera is rumored to feature 30 MPs with all new Super HAD CCD II sensor and Quad-Bionz processor. As such there are no indications about the name though, Sony A950 is a tentative name for Sony’s next big camera with expected specs as indicated by Marc Williams (a wedding photographer) and reported by sonyalpharumors, “Sony is a late bloomer, and strong rumors indicate mind boggling innovations are on the horizon … notably a 35 meg camera with a top shutter speed of 1/12,000th and a true flash sync speed of 1/1000th”. Which one of these are you looking forward to?